GMO in Macedonian language is GMO-Genetski modificirani organizmi. 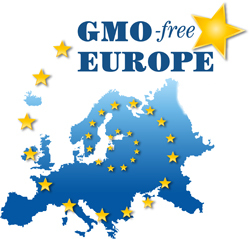 Unfortunately, there is no new GMO free regions in Macedonia. After declaration of these regions (see below), the public opinion is on our side and the country is trying to stop production or import of GMO food. In August 2018 the Food and Veterinary Agency (AHV) has discovered that two genetically modified products, rice and soy beans and crumbs have been imported in Macedonia without being declared. Soy stews and crumbs are from Serbia, and rice is produced from imported genetically modified seeds. See a video from the media conference here. 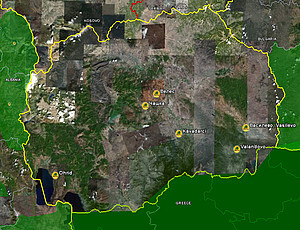 6 Municipalities are declared GMO-free: Veles, Ohrid, Chashka and Mogila became the first GMO free zones in Macedonia in March 2006, November 2007, January 2008 and December 2008, respectively. More recently, the Municipalities of Valandovo and Vasilevo situated in typical agricultural regions of Macedonia declared themselves GMO free region, respectively in March and April 2009. This was a victory of the "GMO free Macedonia" network, composed of 25 local and national NGOs and foundations (view the presentation). The network is currently working on a declaration for the whole country to be declared GMO free. Center for environmental research and information "Eco-sense"
On 11-12 April 2009 the network "GMO free Macedonia" made a presentation of GMO free food in Valandovo, the latest region declared GMO-free in R.Macedonia. Citizens of Valandovo were informed about negative influence of GM food and how they can recognize GMO free food. Before the local elections this year, members of the network prepared a "green package" demanding candidates for Mayors and members of municipalities Councils in R.Macedonia to declare new GMO free zones after the elections. A lot of candidates support the "green package" and the network hopes that in next period a lot of Municipalities will declare themselves GMO free zones.